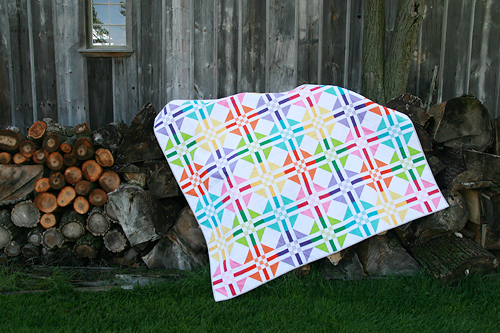 I've been waiting to share this quilt with you for months! 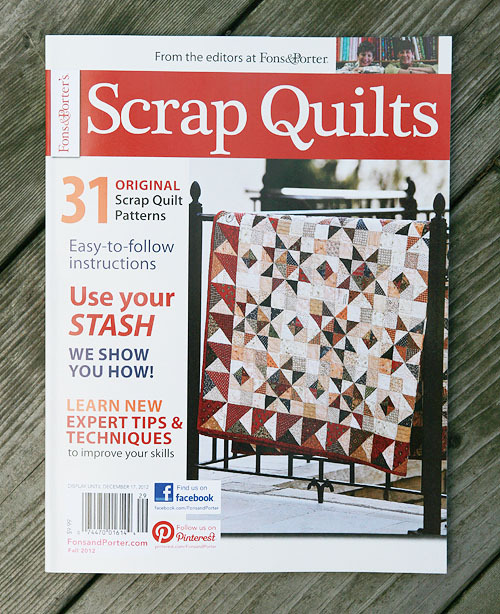 Back when I was making the two quilts for Spring Quilt Market, I was lucky enough to also have the opportunity to make a quilt for the Fall 2012 Issue of Scrap Quilts by Fons & Porter...at the same time. During those weeks, I thought I was nuts for signing on to make 3 quilts in 3 weeks, but looking back it was completely worth it! 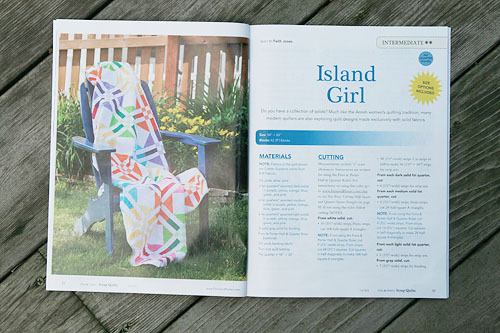 The Island Girl Quilt is made from a beautiful collection of Cotton Supreme Solids by RJR Fabrics. I had never used these fabrics before and I was very happy with them. Very soft and tons of colors available. I just did a bit of searching on Google to see where you can buy some now. The blocks consist of a light, medium and dark shade of each color. 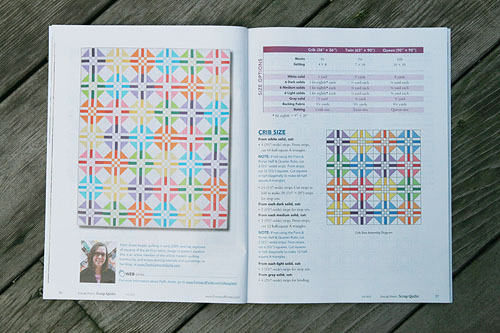 The pattern has some tips on how to sew your fabrics to make the blocks go together a lot quicker than you might think. I've spotted the magazine out in the wild already (at my local book store).